By Emily Guy Birken · Filed Under: Side Hustles · March 26, 2019 · Leave a Comment · Part-Time Money is supported by you. When you sign-up for services or buy something through links below, we may earn an affiliate commission. Learn more about how we make money. If you’re like me, you probably own plenty of things that you only use every once in a while. Whether you’ve got an empty bedroom, a collection of cocktail dresses, assorted athletic equipment, or a car that you only drive once or twice a week, you could be putting your stuff to work for you. Renting your stuff is a great way to make extra money. Renting out your stuff is a no-muss, no-fuss way of earning some part-time money without taking up a big chunk of your time. You don’t necessarily have to take on a roommate to make money from your property. These websites will allow you to find renters for your real estate. Check out: Buying a House Will Slow Down Your Path to Financial Independence (But You Should Do It Anyway) for more information on how a house can help you achieve your goals. 1. AirBnB If you click this link and make a purchase, we earn a commission at no additional cost to you. Airbnb is the go-to rent-your-space website for anyone with a spare room, spare property, or frequent travel schedule. The site connects you with paying travelers looking for accommodations and gives you complete control of your bookings, house rules, and how you interact with your guests. You can trust that you and your home are safe through Airbnb. All guests must provide government identification and agree to house rules before booking your property. If something were to happen, Airbnb’s Host Guarantee offers damage and liability protection. Airbnb also provides 24/7 global customer support. In addition, Airbnb provides a $1 million insurance policy to keep your belongings and home secure, as well as $1 million policy to protect your home in the case of an accident. You choose the listing price for your space and can receive payments through PayPal, direct deposits, or another method of your choice. This service is free to sign up, but, Airbnb charges hosts a 3% flat fee per reservation. Airbnb: Rent Out Your House, Room, or Couch Earn money as an Airbnb host. 3 steps: Create your listing, greet your guests, get paid! Get Started We earn a commission if you click this link and make a purchase at no additional cost to you. VRBO stands for Vacation Rental By Owner, and this site is geared toward property owners with vacation homes for rent. Whether you have a condo in a ski resort, a cabin by the lake, or a beachfront apartment, you can sign your property up with VRBO and earn money renting out the vacation home you’re not using. All bookings are paid using a registered payment method, which gives you eligibility for coverage through VRBO’s Book with Confidence Guarantee. Under this guarantee, you will receive 100% of the security deposit if funds are wrongfully withheld. Keep in mind, all service fees will be paid by renters. However, it’s important you carry liability insurance in case something were to happen to a traveler or your home. Do you have extra land that goes unused every year? Why not make extra cash renting it out to campers or party goers? They get to enjoy a private campground in the great outdoors, and you get to supplement your income. You also have the option to provide your campers with tents, tree houses, yurts, and any other outdoor properties for their accommodations. Prices vary depending on your location and what kinds of accommodation (if any) that you are offering. Once your property is booked, you will receive your payment several days after the completion of the trip. Gamping charges a 7% service fee to all hosts. They use MangoPay to secure all payments. It’s important to note that the site doesn’t check user information, which means it’s up to you to verify each renter and the personal information they provide. You will also be responsible for any loss or damages that occur during the duration of your campers’ stay, so you will also want to carry liability insurance in case of damages. If you have an empty lot, parking space, or even boat slip, CurbFlip allows you to rent your space for extra cash. CurbFlip is offered in most major cities in the U.S. and elsewhere around the world. You can rent out your space daily, weekly, or monthly, which means you can have multiple bookings at any given time. CurbFlip also allows you to set your own price for your parking spot. This can be particularly helpful if your parking spot is near a tourist attraction or sports venue, as you can adjust pricing when demand goes up. CurbFlip charges a 16% fee for any spaces rented. If you choose to use PayPal as your method of payment, they will also charge you an additional 3%. Keep these relatively steep fees in mind when choosing your price. However, each renter and lender is required to provide all personal information to the CurbFlip app, which allows you to communicate with your renters and receive payment. The way the system is set up means you don’t necessarily have to meet your renter, nor do you have to worry about payment, as it comes through to you automatically. As with all real estate rental, make sure you carry insurance, just in case. CurbFlip will not claim liability if something were to happen to your property or someone were to get injured while renting your space. Depending on your property, you could earn anywhere from over $10,000 a month to less than $200. According to a recent Earnest survey, 50% of Airbnb hosts earn more than $500 per month. You can get an estimate on how much you’ll earn renting out your property with the site Eliot & Me. The site’s rent estimate helps consumers predict revenue from short-term rentals by evaluating billions of pricing points. For parking space rental, rates can range from $90 to $630 a month, depending on what city you live in and the location of your parking space. You can see the monthly average for 15 major cities around the country here. But do keep in mind if you use CurbFlip they share 16% of the profit. Cars are meant to be driven, bikes are meant to be ridden, and boats are meant to feel the salt sea spray across their bows! If you have a method of transportation that is sitting idle, you will make it and your wallet very happy by renting it out. Here are several sites that will help you do so. Check out: Simple Car Care Tips so you can keep your car in excellent rentable condition. 5. Turo If you click this link and make a purchase, we earn a commission at no additional cost to you. Turo connects travelers looking for rental cars with local car owners. Simply create a listing for your car, add a description, upload photos, and you’re ready to start earning money. You will receive a notification once someone would like to rent your car. When renting your car, you can drop it off at a designated location, drop it off at the airport, or have the customer come to you. Once your customer’s trip is complete, you can meet them to pick up your car. Turo sets your list price based on your location, the market value of your car, time of year, and additional data. According to Turo, you will make 65% to 80% of the trip price depending on your package. You can bump this to 90% if you waive the insurance coverage, but you’ll have to buy insurance elsewhere so weigh the costs here. According to the website’s estimates, if your car has a market value of $28,000 and you rent it for at least 15 days out of the year, you could make about $7,526 a year. Turo covers your car with a $1 million liability insurance policy and provides 24/7 roadside assistance throughout the trip. You also have the ability to set controls for the mileage, price and gas usage. Turo: Peer-to-Peer Car Sharing Turo allows you to rent your car to travelers in your area. It's free to get started. Get Started We earn a commission if you click this link and make a purchase at no additional cost to you. Getaround is another peer-to-peer car rental service, but it is available in fewer markets than Turo. Currently, it is only available in San Francisco, Berkeley, Chicago, Oakland, Portland, and Washington D.C. In addition, Getaround has a slightly different process for rentals. To get started as a lender, you must create a profile for your car. This profile will include a unique URL to market your car, location, pick up and drop off instructions, and availability. Once you’ve created your profile, Getaround will pick up your car to install Connect™, which provides GPS tracking, anti-theft functionality, and cellular communications to a secure network. Connect™ also helps verified renters locate your car and lock and unlock your car–any other non-verified users attempting to get into your car will be locked out. Getaround provides primary insurance but your car must be insured while on your watch. They also provide 24/7 roadside assistance for any bumps in the road. You can try this service for 30 days free of change. Once your 30 days are up, you will be charged a $99 installation fee as well as a $20 monthly service fee. Getaway takes a 40% commission on all of your rides but claims that you can earn $1,000s of dollars a month for renting your car. Additionally, if you promote this service on social media, you can give your friends and family a $20 credit towards the service. Each rent-out-your car site makes a slightly different claim on how much you can earn. Turo claims that you can make an average of $500 a month, while Getaround states you can make over $800 a month from renting your car out. It’s important to remember that rates will vary depending on the make, model, year, and insurance on the car. In addition, the amounts listed by the proprietary sites may not reflect how much you will actually make. This Earnest study suggests average earners make $98 per month. That’s certainly nothing to sneeze at, considering it’s passive income. But it’s a bit less than you might be hoping for, based on the rental company’s claims. If you have a bike (or surfboard, snowboard, stand-up paddleboard, or ski equipment) that doesn’t get nearly as much exercise as it would like, you can rent it out with Spinlister. As a lister, you post your bicycle (or other rentable sports equipment), the available dates and time, and the price for your rental. Spinlister takes a flat 17.5% of your rental payments, and you can choose your rental price based at an hourly, daily, or weekly rate. Spinlister offers you protection for up to $10,000 if your bike is damaged or stolen. In addition, the company requires renters to sign a rental agreement that provides protection to bike owners in case of injury. The site reassures potential bike listers that they will never be held responsible if a renter gets injured on a ride. According to Spinlister, you can make $3 to $20 per hour for renting out your bike. Your profit will depend on location and time of rental. However, if you decide to scale up and rent out more than just your personal bike, you can potentially make significantly more. 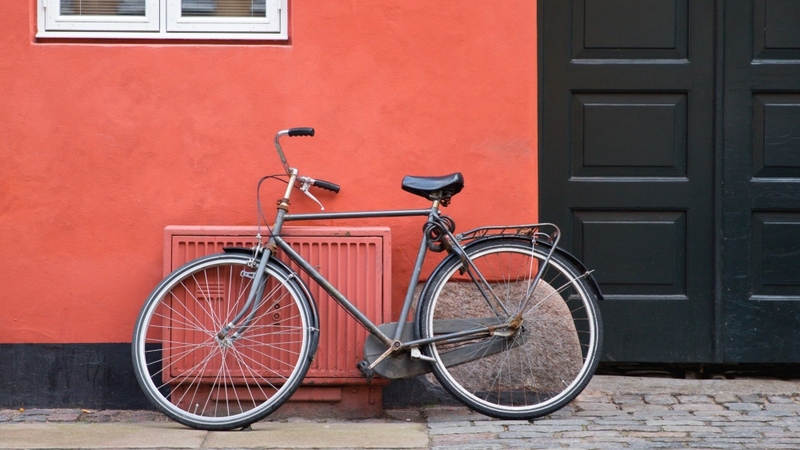 The average price-per-rental for a full bike rental business is $12-$15 per half-hour rental. While you will have to invest in some good quality bikes to rent out, this could be a nice side hustle. They say that the two best day’s in a boat owner’s life are the day she buys the boat and the day she sells the boat. Boatsetter is here to prove that wrong. Rather than let your boat just sit when you aren’t able to get out on the water, Boatsetter allows you to make money on your boat–with the security of hull and liability insurance policies built into the service. You are in complete control of your listing. You get to select availability, determine your boat rules and set the pricing for your rental. Boatsetters offers around-the-clock customer service, as well as a database of USCG, licensed captains to keep your boat running safely. They also run each user’s identity through a service called Cognito, which verifies that each payment matches the user’s identity. When someone books your boat, Boatsetters will hold a $500 deposit until the trip is completed. Upon completion of the trip, Boatsetters will take their fee and send you the rest of the payment. The fee ranges between 10% and 15%, depending on the number of rentals you schedule through Boatsetters per year. The fee goes up to 35% if you use the Boatsetter insurance policy. According to Boat U.S., boat rentals can vary depending on location, age, and type of boat. For example, 10-year-old 30-foot powerboat in San Diego, would go for $400 a day, while a ski/wakeboard boat in Austin can go for $600-700 a day. Don’t forget that you will have to pay a commission on completed rentals. Don’t let your duds just hang in the closet! Make sure they get to go to parties and weddings, even if you don’t. This site allows you to lend your favorite style pieces to people around the country, although Style Lend only selects certain brands for approval. Start by creating a listing with a description and photos. Within 24 hours your listing will be approved and you’re ready to start lending out your closest. For a $5 insurance fee on every rental, Style Lend provides an insurance policy on all items rented to cover up to $50 in repairs. If an item is beyond repair and needs to be replaced (or over $50 in damages), Style Lend will replace the item or compensate you for the current market value of the dress and bill the renter. They suggest listing your style pieces for at least 5-10% above market value. This will depend on wear and tear of each item. Once you have a renter, you print off the shipping label and send the item off. Upon receiving the item back make sure you wash it and inspect it for damage. You want to make sure it’s ready to go for the next renter. Style Lend lets you keep 80% of the profits from renting your favorite clothing items. They suggest listing items that are worth $300 or more. These items tend to be more attractive to potential renters. Their most sought after rentals are dresses, shoes, and handbags. 10. Fat Llama If you click this link and make a purchase, we earn a commission at no additional cost to you. Lend everything from your favorite camera to your favorite sports equipment using Fat Llama. This site allows you to list your items for free and connect with people in your community who are in need of your offerings. Simply create a listing with a photo and description and then approve the rental requests. You can arrange a convenient rendez-vous to drop off your item to the designated renter. In order to protect your item from getting damaged or other rental issues, Fat Llama provides an insurance policy of up to $30,000. In addition to insurance protection, Fat Llama requires every user to submit identification documentation and complete a Smart Verification process. Fat Llama also provides 24/7 customer support for lenders and renters. They want to make sure every customer is 100% satisfied and can find what they need. Fat Llama has a Resolution team standing by to help you resolve any problems with your rentals. Fat Llama was not only created as a way to make money but also connect people and reduce environmental impact. By meeting and sharing possessions, you have the opportunity to build bonds with others in your community and reduce consumption by opting to share instead of purchasing unnecessary products. Fat Lama: Make Money Renting Out Your Stuff Fat Lama is the platform that lets you rent out your belongings to others nearby. $25 free credit on sign up. Get Started We earn a commission if you click this link and make a purchase at no additional cost to you. You may think of Craigslist as the OG online sales platform, but it’s also a potential place to post things for rent, especially if you have something unique to rent out. However, unlike many other rental sites, Craigslist doesn’t provide a lot of consumer protection. They leave it up to the buyers and sellers to work it out among themselves. They offer tips and tricks to safely exchange items, but there is no safety guarantee or insurance provided. Since Craigslist doesn’t screen their users, it may be beneficial to take down as much information as possible about your potential renter. Especially, since you need the item to be returned, you need to know where to find your renter if something were to happen. This platform was established when the creators realized how difficult it could be for outdoor enthusiasts to find the gear they needed when visiting remote locations or smaller townships. Rental shops are not always available in smaller cities–so RentNotBuy was created to give locals the ability to rent out their gear in exchange for a little cash. Unlike most of the other sites on this list, RentNotBuy has outside backing which allows them to provide their services for free. You can create a listing for any item you desire. You control the price and availability. The site provides tools and resources you need to have the most successful rental experience. However, RentNotBuy doesn’t verify renters’ identification. You will have to request copies of government IDs and personal information to make sure your items are properly returned. RentNotBuy also doesn’t process payments for users, so you might want to choose a payment service such as PayPal for protection against fraud. Also, RentNotBuy doesn’t provide insurance. So, if you’re concerned about your items not getting lost or stolen, you may want to insure your valuables. All that said, since RentNotBuy does not charge any fees whatsoever, you get to keep every penny of whatever you make from your rentals. Do some research: Will your product be profitable throughout the year? (For example, depending on location, an inflatable rental business may not be profitable in the winter.) What insurance will you need? Do you need a license to offer rentals? There are countless details that go into starting any business, so make sure you fully understand what you need in order to launch your rental business. Get your documentation in order: Once you know the documentation required, start applying for your business license and insurance requirements. Make sure to keep copies of all documentation. Purchase inventory: To keep your upfront costs low, start with just a few products and purchase more as your business grows. You don’t want to purchase 10 inflatables to find they are sitting unused for most of the season. Be reasonable with your inventory and purchase what you need to launch. Market your items: How will people find you? You can always start by listing your items on the sites we covered above until you have grown enough to create your own website to promote your business. Use social media and other networking sites to market your business. Connect to other business owners: Meeting service providers in related fields can be an invaluable source of referrals. For instance, connecting with party planners can help you with referrals for everything from party rentals to bubble machines to costumes, and befriending local real estate agents can help you with your furniture or artificial flower business when a seller needs to stage their home. Joining a local business professionals group can really help with this step. Check out your city’s Chamber of Commerce to get involved in your city. Watch your business grow: Continue to promote and market your business. Run incentives and coupons to increase your sales. There are plenty of ways to grow your business. Check out: 5 Critical Things to Do Before Starting Your Own Business for more advice on getting your rental business off the ground. This all depends on what items you choose to rent out, but starting a rental business can be quite lucrative. For instance, investing in just four bounce houses could net you an average of $80 to $250 per rental, and as much as $750 per week. If you can keep your overhead low, this kind of rental business could make for a nice sideline that helps you reach your financial goals. You spend your hard-earned money to buy all the things you own. Your stuff can return the favor by earning you some extra income through rentals. Have you ever rented out your things with one of the above services? Do you earn money with your own rental business? Tell us how it’s worked for you in the comments!